Mark was born in the United Kingdom and obtained a BA Honours Degree in Business from John Moores University, Liverpool. To date Mark has been a part of over 200 real estate transactions. 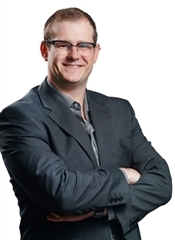 His varied experience, his keen interest in the property market and the marketing techniques acquired during his degree studies, equips Mark with all the skills needed to be an asset to you in your home purchase or sale.